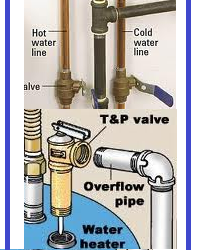 It is generally cheaper to replace a pop-off valve than to let it leak over a period of time. 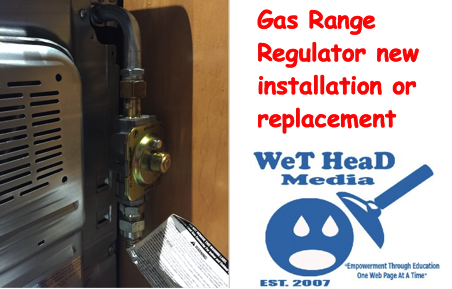 A leaky valve allows oxygen into the boiler through the increased make-up water. This can cause all kinds of rusting problems in hot water boiler system and scale problems in steam boilers. Hydronic boilers have high temperature cut-outs, also called high limit controls. These turn off the boilers when the temperature gets too high. For hydronic boilers, the temperature setpoint is typically 140° to 180° unless the boiler is used for a specific high temperature application (such as a hot water absorption unit). To conserve boiler energy, the hot water temperature setpoint can be adjusted based on the outdoor temperature. When it’s cold outside, the setpoint is adjusted upward. Note that this is, strictly speaking, not a control process but rather a dynamic setpoint modification. 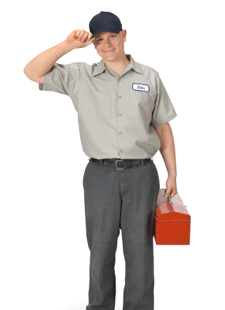 Among the various components of HVAC equipment, boilers should command the most respect. They operate at lethal temperatures and pressures. Boilers are dangerous to be around and dangerous to work with. General and frequent inspections can be a big help in identifying problems before they occur. -Make sure there is enough make-up air. Combustion boilers use a lot of air and there should be sufficient supply of outside air directly into the boiler room. Never block the make-up air intake, even briefly. -Make sure the main gas valve shuts off if the pilot goes out. -Make sure the flame relay is working. One way to check this is to start the boiler and then physically disconnect or remove the flame detector. The boiler should shut off immediately. UV detectors should be replaced every three or four years- if you go longer than that you will probably have operational problems with them. It only takes a few minutes and it’s a good idea. -If your boiler uses flame rod, make sure the flame rod is in the middle of the pilot, If not, the boiler may not start or may cycle unnecessarily. -Large intermittent pilot boilers have a timer so that if the flame relay sensors does not detect a pilot once the boiler starts it locks out the boiler. This proving time is typically three to five seconds, although on big hot water boilers it may be much shorter. Check your local code as it usually dictates the timing. -Make sure the pilot has enough spread so that when the gas valve opens, it lights the full manifold. You can check this by watching the manifold as the gas valve opens. The entire manifold should light more or less at once. If not, you may need to increase the spread, or fan, of the pilot. -Never try to light a gas or oil burner manually. -As silly as it sounds, make sure the pilot assembly has not fallen off. This sometimes happens, usually after maintenance when someone discovered that the pilot assembly mounting screws are hard to put in and then shoved it into place. While mildly amusing, this can be inconvenient (the pilot will not light the main burners) and dangerous (uncontrolled gas flow will cause an explosion in the boiler). -Make sure everything is clean. Dirt on the gas manifold (or in an oil line or injector) can prevent the boiler from starting. – In bigger boilers, the gas valve is separate from the pilot valve. Usually, these are electro-hydraulic valves and they can fail shut if they run out of oil. You will have to replace the valve if the oil leaks out. -On hydronic boilers, make sure the high limit cutout works (don’t set it over 200° F). On steam boilers, make sure the high pressure cutout works. One way of testing the high pressure switch is to turn it down while the boiler is operating. When the cutout setting reaches the actual steam pressure, the boiler should turn off. Remember to restore the high pressure setpoint when you’re done with the test. -Make sure the flow switch works on hydronic boilers. If you turn off the pump, the boiler should shut off. 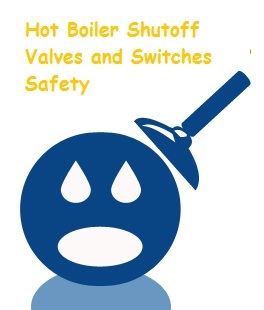 If the boiler continues to operate with no water flow it can get hot enough to blow up. Alternatively, the pop-off valve will blow off and all the water will leak out of the system. Now you not only have a big mess but you also have no heating. Check the sight glass and make sure water levels are always within the proper range. -If the boiler has a draft damper, make sure that the linkage is sound and that the damper is working properly. Failure to maintain the proper draft though the boiler can lead to boiler inefficiencies and can also feed fire back into the mechanical room. -The pressure relief valve on a steam boiler should be checked every year. Check by pressurizing the system and see if the valve pops off at the proper pressure. You can also bring the valve to an authorized service station for reseating and testing.